In a busy week in Berlin from Oct. 15th to Oct. 17th the Chinese participants of the EU-China NGO Twinning and some of their European counterparts had the chance to present the topics of their organizations’ cooperation and share their personal exchange experiences with different audiences. They also took part in workshops and networking events on current topics of the European civil society. 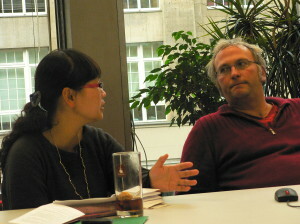 On October 15th the Chinese participants of the EU-China NGO twinning met in Berlin for a capacity building workshop. 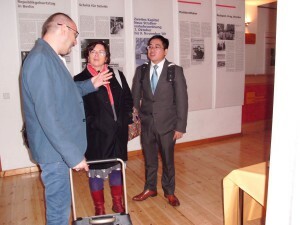 They were presented with papers on a agrarian advocacy campaign, on the interdependence of civil society and freedom of press as well as on the German Energy Transformation, and engaged in a lively discussion. 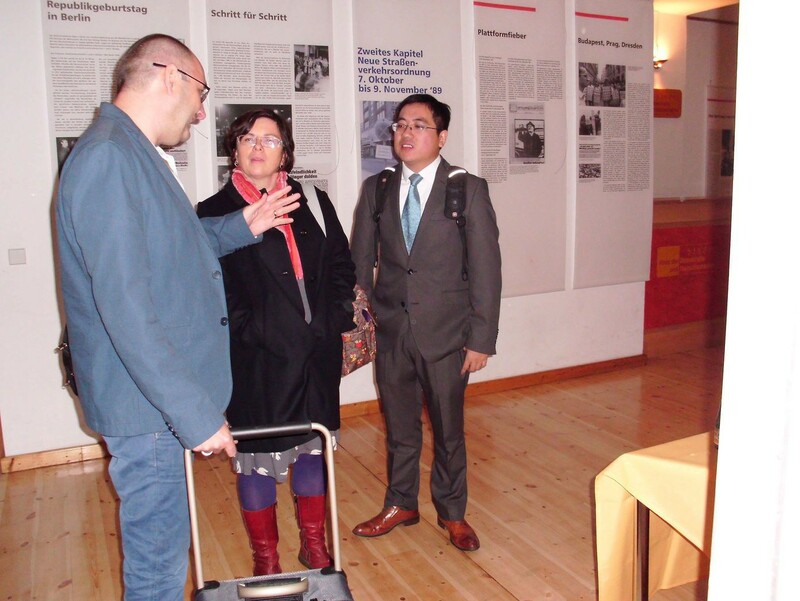 October 16th started with a visit a the exchange funder the Robert Bosch Stiftung. 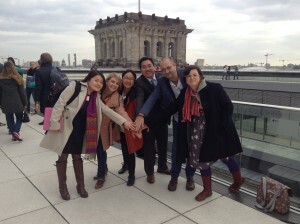 At the foundation’s Berlin representative office the Twinners learned about the China focus of the Robert Bosch Stiftung and presented their exchange experience and results of the Chinese-European NGO cooperation so far. 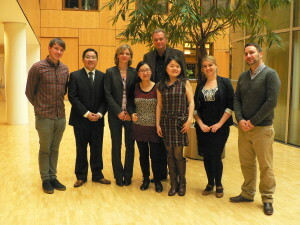 In the afternoon they met with Fritjhof Schmidt, member of German parliament and of the Green party. 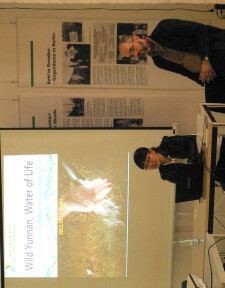 Mr. Schmidt explained important issues of the Green party’s policies and how those were integrated in international agreements The meeting also provided the opportunity for a Q-and-A round on Germany’s China policies and on how to implement binding rules in areas such as CSR and sustainable production. The twinners also got the chance for an “off-the-tourist” tour through the assembly house which was kindly led by Mr. Schmidt’s assistant. 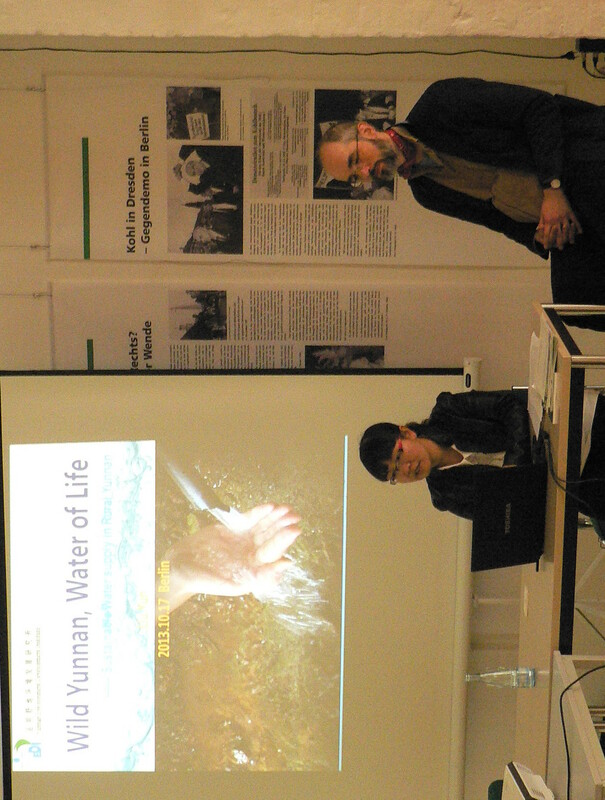 In the evening the twinners took part in a panel discussion in the context of the Alternative Raw Material Policy Consultation. 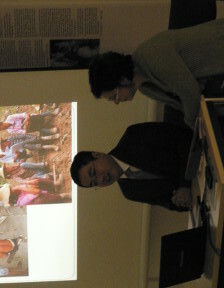 This event also gave them the opportunity to network with representatives of other European and Asian NGOs. 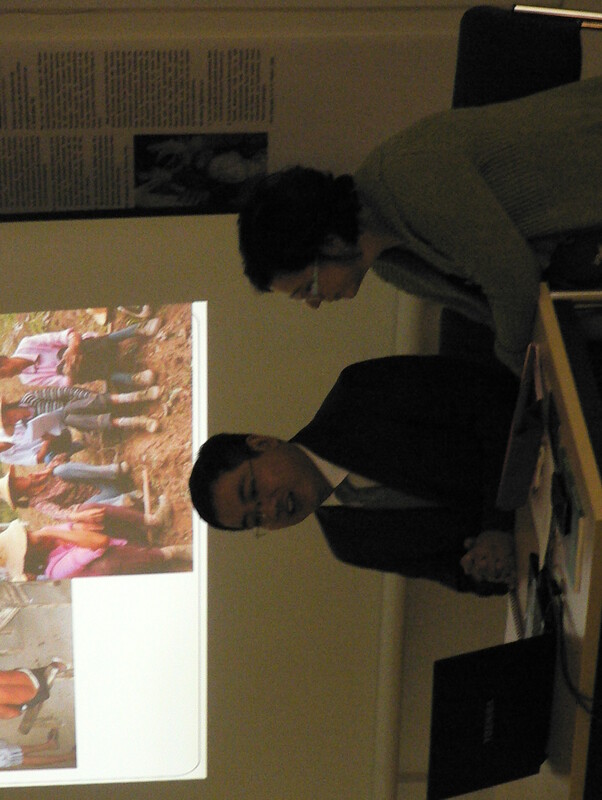 On October 17th the 2013 NGO Twinning partners were able to present their own organization’s work, common issues of European and Chinese organizations and the experience from the Chinese participants’ job-shadowing stage in their European partner organization to a broader public. 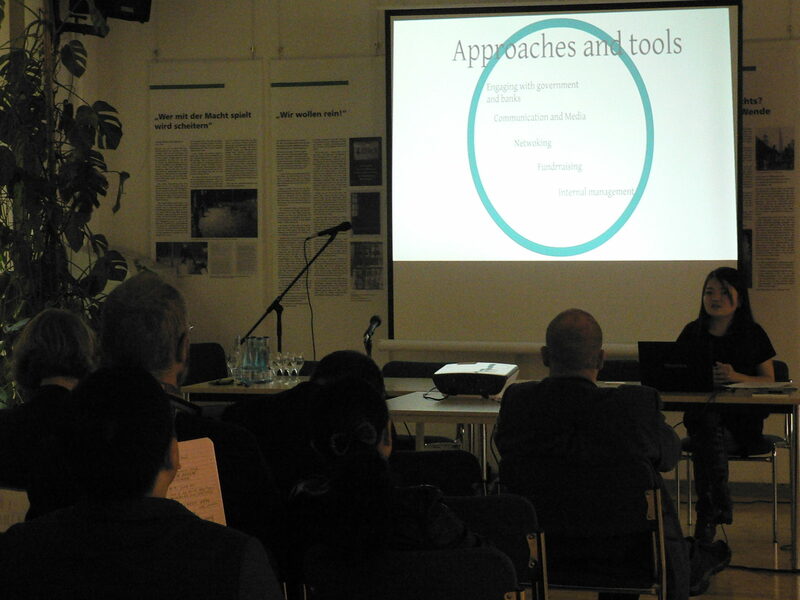 In the Berlin “Haus der Demokratie und Menschenrechte” Liu Yun from YEDI and Michael Bender from Grüne Liga as well as Ding Peng from PIDLI and their partner organization’s The Rights Practice representative Sophie Cornford gave joint presentations ont their cooperation. Chen Yu from Green Watershed reported enthusiastically on her stay with BothENDS and her contribution to their Green Credit Policy work. Dave Carey from Chickenshed showed a movie on their exchange with Hunan Aimier (scheduled for the beginning of 2014). Berlin Massive and their partner oranization CHEE productions presented their cooperation via a video message, since both exchange fellows were currently in China. ‹ Capacity Building Workshop for Chinese Twinners – How Do Civil Societies in Europe and China Organize?